So I go along to get my MOT this morning. Unbeknownst to me, the garage had left a message to say that the three-phase electricity has failed and they could not use the ramp that they intended to use. Sometimes things just happen outside peoples control and I do not see why stress should be passed on so I just accepted it and said I will return later on today. I’m getting a lot of inspiration recently about the interface between doctors, the national health service and patients and I’m writing a number of skits ( English word for comedy pieces ) which concentrate on the dark side of human nature. I believe that when I deliver this it will release people and allow them to think in a slightly different way. So, Brexit has just been announced officially and I worry a little bit that my French wife will not be allowed to live here but then she has been here since the mid-1970s so if they kick her out they are going to have to kick a lot of other people about as well. This is a huge game of cat and mouse that is going to go on in London and Brussels. My wife is in court acting as a juror and I shall report on this in due course. Anyone can be called up. you need to be between 18 and 75. Currently , she currently is debating whether someone is guilty of sexual molestation and they are not allowed to make any external phone calls while they are in committee so to speak. 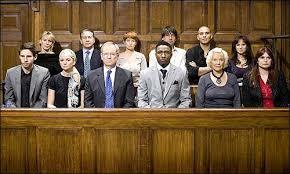 The foreman of the jury is chosen by the jury themselves. A cousin of my wife died a couple of days ago and the discussion is whether she goes to Lyon for the funeral which is next Monday. The closer the event is the more expensive. Eurostar return is the best part of £400 so these offers you see at £59 or £60 are contingent on a number of factors including booking a long time ahead. I thought of getting her to fly out from Bristol with easyJet and return by Eurostar but if you just buy a return ticket it is more expensive than buying the same ticket on the same train as part of a return. They have got you every way. so, today is an example of how not much happens on the outer level but a lot happens on the inner level. Since I mostly live on the inner level anyway, lack of so-called external events do not bother me at all. I think I would be quite happy on a desert island most of the time though I should hasten to add not all of the time. After much hassle we obtained a return ticket to Lyon in France for £180. You really have to be on the ball because the outward journey had 9 seats left at £91. One hour later there were six seats; a half an hour later there were three seats left. The next price points are £124 and £164. if you want a return London to Lyon by Business Premier it is £530. That does my head in a bit. I could fly to New York and back for that.